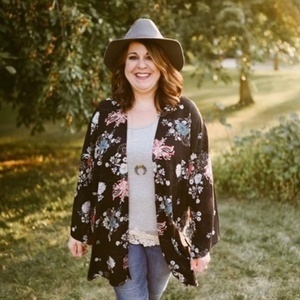 Jen decided to take a leap and leave her career of 13 years in hospitality to open JenDaisy Boutique. JenDaisy Boutique is not just about selling trendy clothes. Jen makes sure to teach women and girls to dress for their shapes and what flatters their bodies the most. JenDaisy has helped transform many women and help them see their true beauty and to love themselves. Jen has been married to her high school sweetheart Tony and they have three children. When Jen is working she loves to spend time with her family. She also enjoys flower arranging, making jewelry, and watching any Bravo TV housewives series. Jen Russell has been a guest on 1 episode.